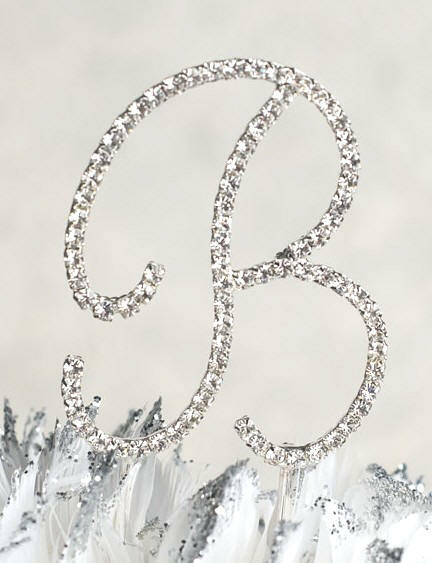 This silver-plated full crystal initial monogram wedding cake topper features elegant script and clear Swarovski™ crystals. 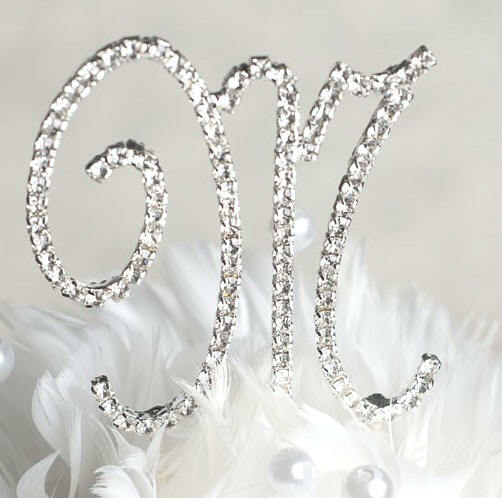 A perfect accent to crown the top of your wedding cake. 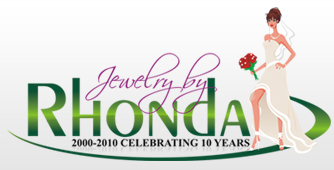 Our Internet Price $95 - save 25% and our price includes shipping and handling! Please read this before you order!